Baltimore, MD: Johns Hopkins Press, 1948. First Edition, First Printing; 338 clean, unmarked pages/index; rust c w/gilt titles; Examines Heine's Jewish heritage and the possible impact it had on his work. Signed by Author. 1st. Hardcover. Very Good/No Jacket. 8 vo. Israel: Yad Tabenkin, 1988. 91 clean, unmarked pages. 1st. Paperback. Very Good. 8 vo. Philadelphia, PA: J.B. Lippincott, 1976. 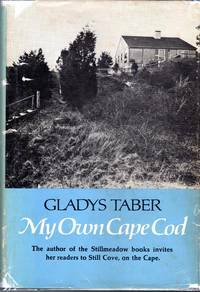 First Edition, First Printing; dj iw/closed tears, unclipped price, in mylar; 234 clean, unmarked pages. 1st. Hardcover. Very Good/Very Good. Illus. by Pamela Johnson. 8vo. Philadelphia, PA: J.B. Lippincott, 1967. 2nd printing; dj in mylar (price unclipped); 256 clean, unmarked pages. Hardcover. Very Good/Very Good. Illus. by Sidonie Coryn . 8 vo. Philadelphia, PA: J.B. Lippincott, 1967. dj in mylar (price unclipped); 256 clean, unmarked pages; family bookshelf edition. Hardcover. Very Good/Very Good. Illus. by Sidonie Coryn . 8 vo. Philadelphia, PA: J.B. Lippincott, 1971. First Edition, First Printing; dj w/lite chipping, unclipped price, in mylar; 251 clean, unmarked pages. 1st. Hardcover. Very Good/Very Good. 8 vo. Philadelphia, PA: J.B. Lippincott , 1970. 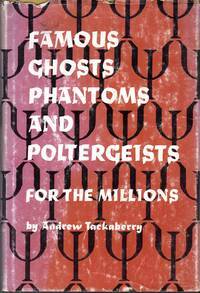 2nd printing; dj w/closed tear, unclipped price; owner's insc; illustrated end papers; 154 clean, unmarked pages. 1st. Hardcover. Near Fine/Very Good. Illus. by B&w Photos. 8 vo. Boulder, CO: Privately Priinted; Johnson Printing Co, 1983. stapled red pictorial wraps; unpaginated; clean, unmarked pages. Paperback. Near Fine. Illus. by B/w. 8 vo. Boulder, CO: Privately Priinted; Johnson Printing Co, 1992. stapled yellow pictorial wraps; 80 clean, unmarked pages. Paperback. Near Fine. Illus. by B/w. 8 vo. Tabor, H..A.W. 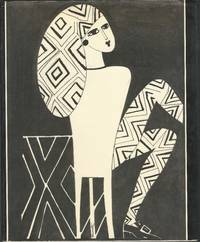 (Horace Austin Warner) Coquoz, Rene L.
Boulder, CO: Privately Priinted; Johnson Printing Co, 1987. 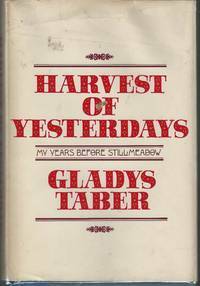 4th printing; stapled yellow pictorial wraps; 42 clean, unmarked pages. Paperback. Near Fine. Illus. by B/w. 8 vo. Milan, Italy: Redoff, 1979. 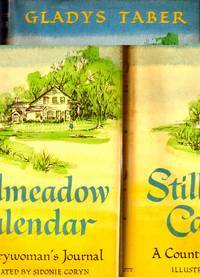 First American Edition; 139 clean, unmarked pages; pictorial end papers. An overview of the 'highspots' of Italian design in the areas of automobiles (check out the mahogany Fiat) textiles, home interiors, Furniture, games, Industrial design and much more. Essays accompany relevant examples in full-color photographs-many full-page...will not fit in priority envelope. 1st. Hardcover. Very Good/Very Good. Illus. by Color & b&w. Elephant Folio. PA: Franklin Library, 1982. Navy faux-leather w/gold decorations/titles; all edges gilt; 375 clean, unmarked pages . Hardcover. Fine/No Jacket as Issued. Illus. by Giovanni Battista Piranesi. 8 vo; 2.5 Pouinds. PA: Franklin Library, 1982. Navy leather w/gilt decorations.titles; all edges gilt; 375 clean, unmarked pages.. Leather Binding. Fine/No Jacket as Issued. Illus. by Giovanni Piranesi . 8 vo; 2.5 Pouinds. NY: Bell Publishing Co, 1967. 1st printing; rubbed dj w/lite wear; 160 clean, unmarked pages. 1st. Hardcover. Very Good/Very Good. 8 vo. London: Hodder & Stoughton, 1937. red c w/gilt titles; 320 clean, unmarked pages; 3rd Printing. Hardcover. Very Good/No Jacket. 12 vo. 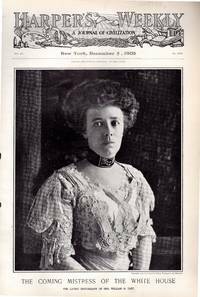 NY: Harper's Weekly, 1908. full front page photo-portrait of Mrs. William H. Taft (Taft, Helen Louise Herron "Nellie"). 1st. Unbound. Very Good. Illus. by B/w Engraving. 11'' x 16''. Washington D.C.: Government Printing Office, 1898. lovely map, suitable for framing. Unbound. Very Good. Illus. by Hand Colored Map. 16.5" x 19.75". 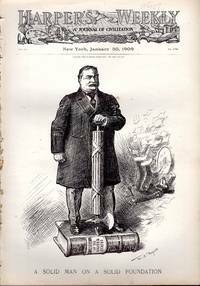 NY: Harper's Weekly, 1909. full front page with a political portrait of President Taft, standing on the Constitution of the United States...one page, suitable for framing. 1st. Unbound. Very Good. Illus. by W. A. Rogers. 10.5" x 15.5". NY: Harper's Weekly, 1908. double page engraving of Taft on the 'elephant' and followers with sign that says 'The White House or Bust' ...double page, suitable for framing. Unbound. Very Good. Illus. by B/w Engraving. 22" x 16". NY: Harper's Weekly, 1908. full front page engraving showing a blind Uncle Sam in bed and William Howard Taft holding out the paw of the bear for Uncle Sam to feel Very nice, and suitable for framing. 1st. Unbound. Very Good. Illus. by A.B. Walker. 9" x 13".